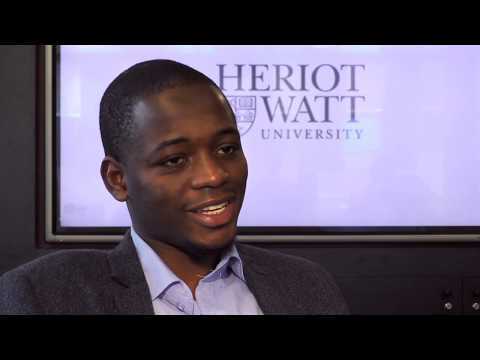 Heriot-Watt is one of the world’s leading universities with strong links to international business and industry driven by our established reputation as a top research-led institution. With a rich heritage stretching back to 1821, we are a truly global university bringing together scholars who are leaders in ideas and solutions delivering innovation, educational excellence and ground-breaking research. From 5 Distinction Scholarships for Postgraduate Taught courses in each School, to PhD research funding, there are a range of scholarships and bursaries can help finance your student journey. More information about scholarships offered at each of our campuses can be found here: https://www.hw.ac.uk/study/fees/scholarships-bursaries.htm. We have new, state-of-the-art halls of residence on our Edinburgh Campus which provide spacious student accommodation. Find out more. Postgraduate students are housed in self-catering halls, most with en-suite facilities and internet access, with wi-fi throughout. Find out more. For more information on student accommodation at our Scottish Border Campus, click here. Voted International University of the Year in The Times Good University Guide in 2018, Heriot-Watt University has six campuses from Edinburgh, Orkney and the Borders in the UK, to Dubai and Malaysia. Find out more about postgraduate opportunities and courses at our campuses in the United Kingdom, Dubai and Malaysia. There are also Inter-Campus Transfer opportunities for some Postgraduate Taught (Masters) Programmes; for more information or to be considered on a case-by-case basis for this, please contact the Go Global Team on goglobal@hw.ac.uk.